JAIL JOB EVE sign with MIG – Debutalbum out October 12, 2018! We are happy to welcome JAIL JOB EVE in our Artist Roster. 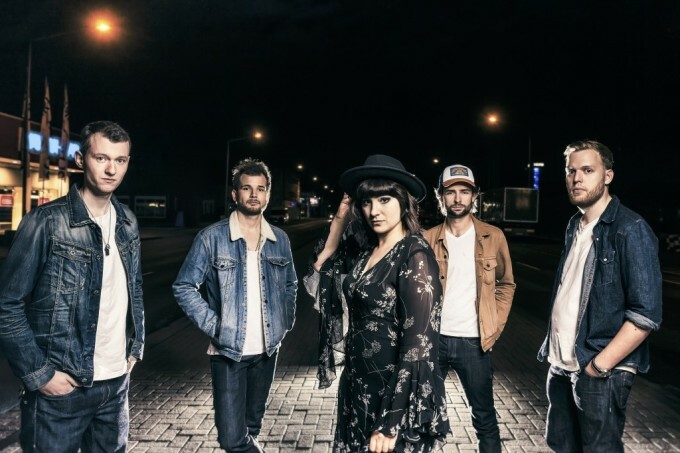 After their debut EP “Bird of Passage”, which was very well received by critics, the 5 young musicians around singer Victoria Semel are finally adding their debut album “The Mission”, which will be available on CD and digital from 12.10.2018. The double LP on transparent violet vinyl is released about 4 weeks later. The whole thing will be accompanied by an extensive tour through Germany and Austria. Jail Job Eve come from all over Germany. Studying music at the Hochschule Osnabrück and the love for the old school of the 60s and 70s finally brought the five young musicians together. After a jam session together it was immediately clear that something had to start together. In 2015 the critically acclaimed EP “Bird of Passage” was released. After two long years of touring it was finally time to record the debut album in autumn 2017. Therefore they moved into the Horus Sound Studio founded in 1979 by Frank Bornemann (Eloy) for one week. 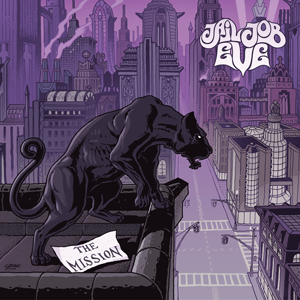 The result is “The Mission” with twelve varied songs, such as the organ-heavy title track, the fat, hard-dried “Dangerous Eyes”, the American “The Biggest Part”, and the bluesy “Run Like Hell”. The strong and soulful voice of front woman Victoria “Toja” Semel impresses and manages the change from rockboard to ballad with ease. Toja is accompanied by Benedikt Schlereth on guitar, Jens Niemann on keyboard, Tim Beckers on bass and Josef Röhner on drums. “The Mission” will be released on 28.09.2018 via Hänsel&Gretel /MIG Music on CD and on all digital platforms for downloading and streaming. The double LP on violet transparent vinyl is planned for about 4 weeks later. Toja on the album: “The irrepressible joy that you can feel in making music is not only our strongest motivation, but also the best medicine and our greatest gift. That was my mission and motivation to make this album with the guys, and I have to say: “I am so incredibly proud of our work and everything behind it, I could burst”.